The original brief for this project was to provide a unified entrance hall and reception facility, linking the two separate buildings of the library and the Civic Hall, relocating the existing entrances to a more prominent location for ease of access to the wider community which the buildings serve. 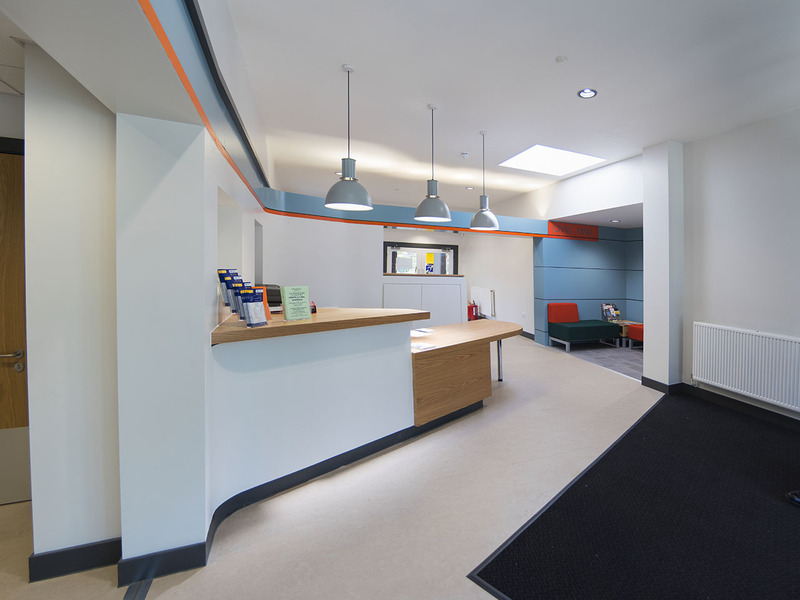 After a review of the internal layout and day-to-day running of the Civic Hall the project was expanded to fully reorganise the interior to give clarity between the public accessed meeting rooms (moved so adjacent to the new entrance) and staff working areas (moved to a more secure area with joint access to the Civic Chamber. The entrance is arranged around the 3 main activates of the building: Library, Civic Hall and the Civic Offices (including Council Chambers). 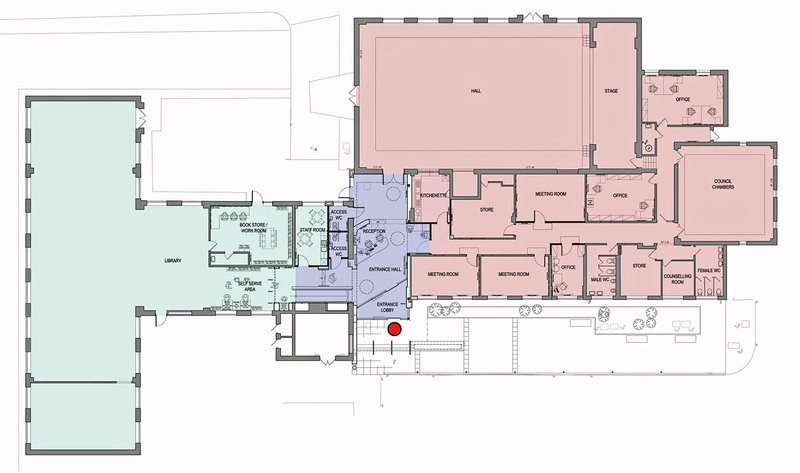 Each area can be closed off to allow individual operation, allowing the building to be open for the long hours that are required. safe removal of asbestos from the existing building service routes.